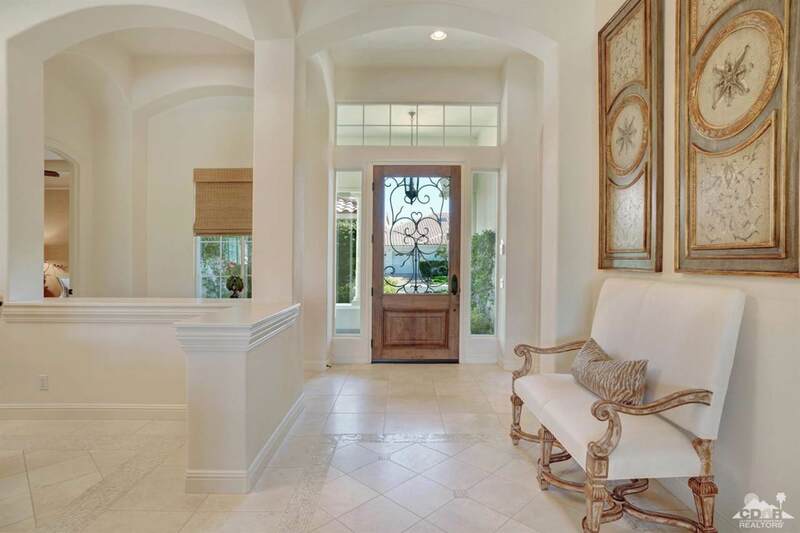 Welcome to this gorgeous and meticulously maintained home on a large West facing lot overlooking the 11th fairway, lake and stunning Santa Rosa Mountains views. 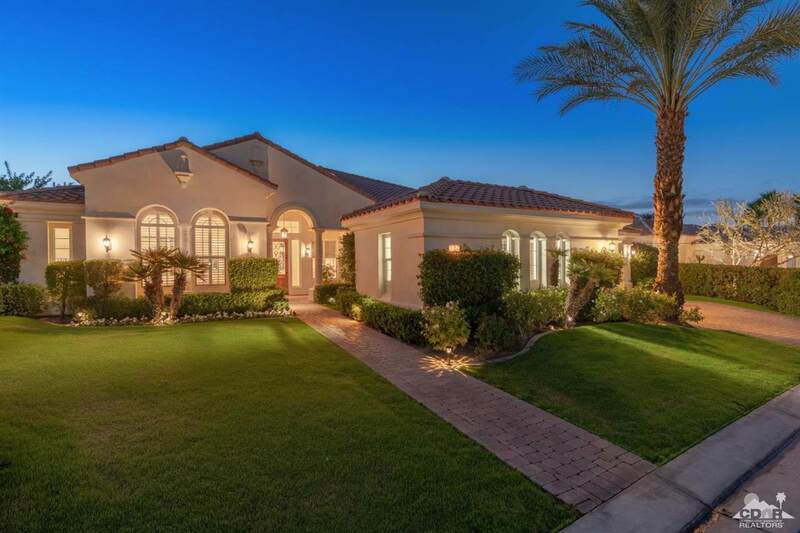 From the manicured landscape and smooth-stucco exterior finish to the elegantly appointed and captivating interior decor, this home offers the ultimate in Country Club living. The Chefs-delight kitchen includes Wolf and Sub-Zero appliances, granite counters, custom backsplash and upgraded cabinetry. The main area floors are polished travertine; bedrooms have upgraded carpeting and the office a styled wood floor. Beamed-ceilings adorn the living room, family room and Master Bedroom. 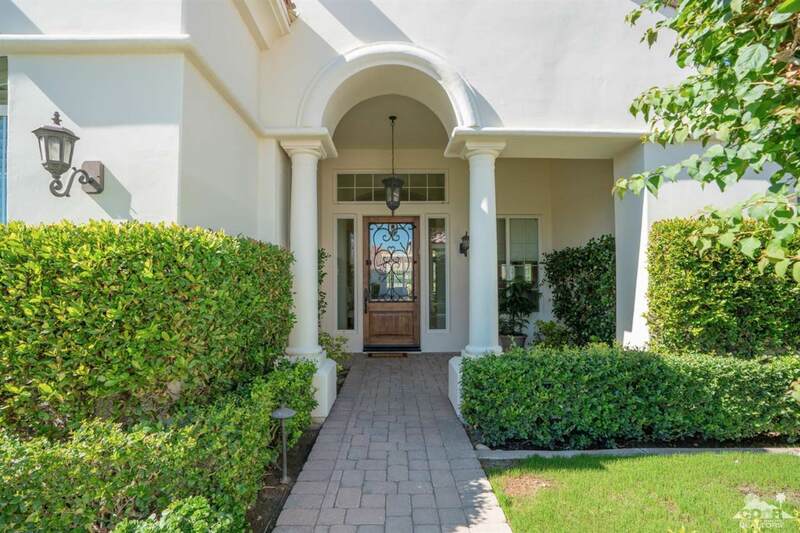 The patio and outdoors provides all the right features for entertaining friends and family; pool, spa, fire pit, BBQ island and fruit trees in the expansive side yard. Please reference in the details below the activities offered along with Social Membership which all residents are required have. See attached floor plan. Mgmt Company Name Powerstone Mgm. Co. Listing provided courtesy of Dale Weaver of Berkshire Hathaway Homeservices California Properties.